Waking up early certainly didn’t happen. It was a half-day kind of day. Our excuse was that we only slept a couple of hours the night before 😉 We finally left the condo at 12:50 and arrived at Solitude at about 1:30. 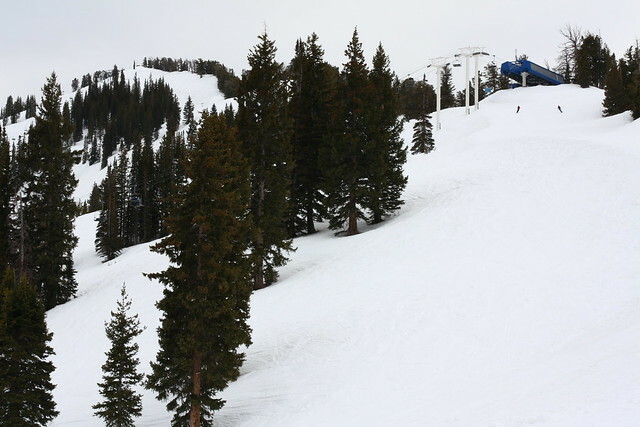 Despite several days of high temps after a storm that dumped a couple of feet of new snow, the coverage was still decent. 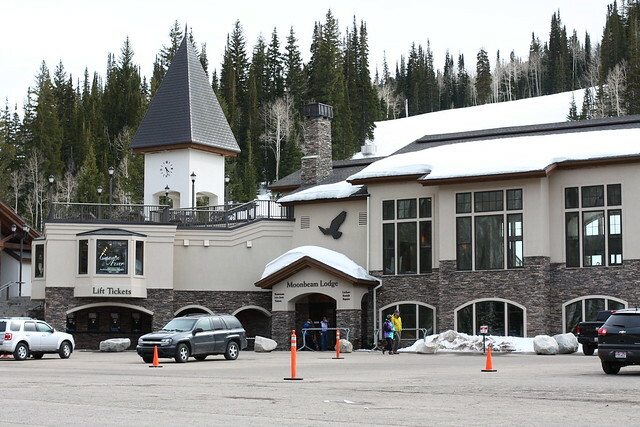 The first thing we tried to do was go to the summit, but unfortunately, the most direct route was closed off for avalanche control. Bummer! We decided to just stay on the right side of the mountain. 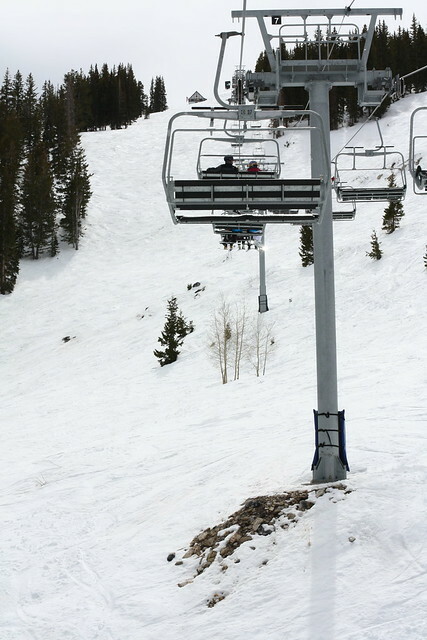 Solitude is not a big mountain; I thought it was about the size of Big Bear and Snow Summit combined. 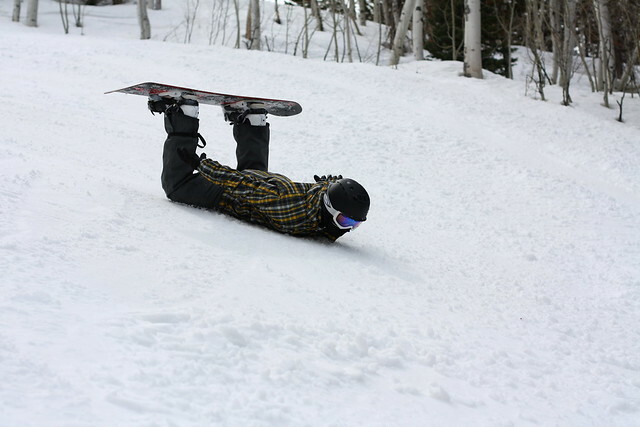 The runs and lifts are short, which was fine given our limited time. 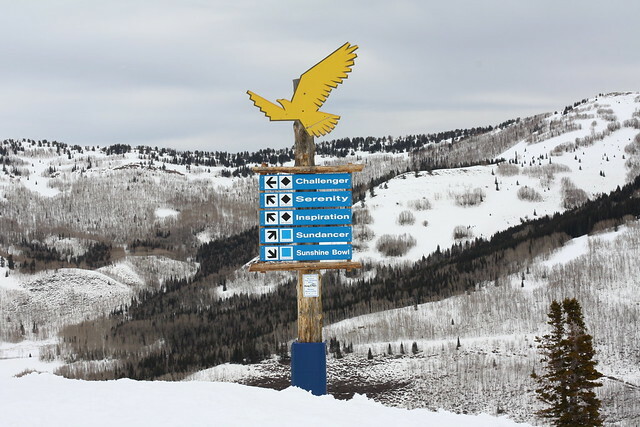 Our favorite run was Eagle Ridge (off Powderhorn II Quad) to Challenger (can also be accessed by Eagle Express Quad). On our last run, I smiled to myself, thinking about how we lucked out with the conditions. But as we headed towards the bottom of the mountain, we encountered sticky slush! TOTAL LEG BURN! It was such a drag to have to expend so much energy just to finish our run. Perhaps using all-purpose/all temperature wax could have helped us. I don’t know. I think we’ve only used winter wax. 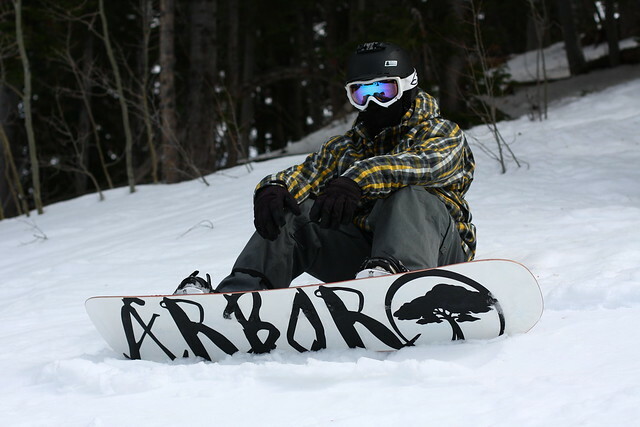 This entry was posted in snowboarding, these places and tagged slush, utah, wax. Bookmark the permalink.